During the last few weeks the activity of Bulgarian insurance companies has increased. The reasons for that are simple: in the south Europe there were horrible disasters- earthquakes. Italy and Bulgaria suffered a lot because of this natural phenomenon. On 22 of May, 2012, on the territory of Bulgaria there was an Earthquake with magnitude of 5.8 on the Richter. There were no lethal consequences but people have become more cautious. The Prime minister appealed to the nation to be more responsible and to use insurance companies’ service adequately. There are special state funds for unforeseen occasions but it is not reasonable that people always to expect help from the government. After last disaster in May there were small material negative consequences such as fallen chimneys, cracked walls, etc. However, all damaged people received financial support from the government. Nature is always a real danger. Sometimes it is not possible to predict what will happen. For instance, earthquakes are still unforeseeable; floods are possible if the installation is not maintained and stable; fires could be caused by people or by the combination of drought and sun power, etc. Insurance companies are created because of all these circumstances that people are not able to predict. Car accidents and work accidents are possible threats as well. Insurance companies offer diverse services. Everyone can insure himself/ herself or his/ her property. 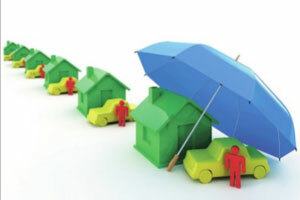 There are many types of insurance: life insurance, car insurance, property insurance, accident insurance, financial insurance, agriculture insurance, etc. Because the opportunities are diverse, it is necessary to check all of them and to choose the most affordable one. May be some people do not believe in insurance companies and think they are deceivers. Nevertheless, these companies are necessary. Situations such as the current ones in Bulgaria and Italy prove that life insurance and property insurance give a stable support in case of unpredictable problems. The numerous car accidents each year are good examples of critical situations in which it is obligatory for everyone to have insurance. Unfortunately, the human live is full of difficult and dangerous situations. We are not always able to foresee what could happen, so we should take extra measures to be more secure.